Savvy Sites creates unique, custom web sites for a wide variety of medical businesses, practitioners and service providers. Clients include medical device manufacturers, medical practices, pain clinics, cosmetic dentistry offices, biotechnology startups, cosmetic surgery centers, chiropractors, hospitals, acupuncture centers, service providers, and trade organizations. We serve medical professionals and businesses throughout California and nationwide. We develop unique designs from scratch and our creative director is also medical technologist, biologist, and experienced medical professional. 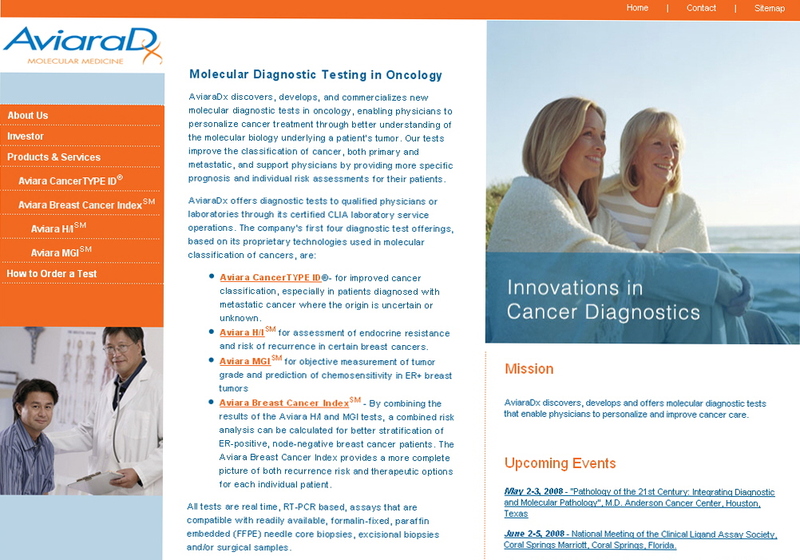 See www.savvysitesinc.com/medical-website-design.html for more information or contact us at 858.484.3860. SAVVY SITES is a registered trademark. All rights reserved. Copyright 2008.